Why Rent Barcode Scanners Over Purchasing? Is barcode scanner rental better than purchasing? Barcode scanners are an essential must if you are looking to optimize your business practices regarding inventory management. Barcode scanners can make inventory taking a much easier task. If you don’t need them all the time, then renting barcode scanners when you do can be a smart decision. More accurate results – Counting by hand instead of scanners can provide errors and inaccuracies. Barcode scanners guarantee reliable results. It is crucial for fiscal responsibility to have an accurate account of your inventory and stock levels and know exactly what products are on hand, allowing you to make better decisions when ordering and allocation of available resources. Improve speed of process – Using barcode scanners cuts down on the amount of time required to do inventory compared to manually counting inventory. Cost Savings – When it takes less time and people to count inventory with barcode scanners , there is a savings in the amount of money spent on labor costs. 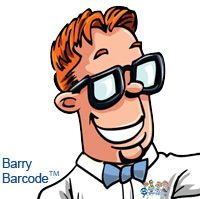 For more information on barcode scanner rental and to learn more about your options for all your barcode scanning, call us as (800) 643-2664 and immediately talk to one of our friendly representatives; or chat us up on Facebook or Twitter!